The telecoms regulator Ofcom has announced today that it will introduce automatic compensation for broadband and landline customers. Is this good news for you? Today we’ve welcomed a huge win for our broadband campaign as Ofcom has revealed plans for automatic compensation to be introduced across the broadband and landline market. Currently, BT, Sky, TalkTalk, Virgin Media and Zen Internet have signed up to this scheme. While these providers serve 90% of landline and broadband customers in the UK we want to see all providers signed up. In recent years broadband has increasingly been seen as a third utility, and a vital one at that. People now value it just as much as energy or water. While expectations are rising, satisfaction is falling. In our latest broadband customer satisfaction survey, only two providers achieved above the 70% satisfaction mark. And it would appear that the regulator would agree with this sentiment, it noted that that telecoms companies haven’t kept pace with customers’ needs when it comes down to the quality of service. Now, I don’t know about you, but I will claim compensation when I believe I’m entitled to it. I submit for compensation for rail delays or problems on the tube, and I recently helped my parents claim compensation when their holiday was thrown into disarray in the British Airways IT meltdown. There are, however, lots of people who don’t seek compensation when they deserve it. The process can be tedious and inaccessible and often people aren’t even aware what they are entitled to. That’s why we have been campaigning for automatic compensation across a number of sectors, including the broadband and landline market. We believe that you’re let down by your provider, you should be adequately compensated without having to jump through hoops. Well, Ofcom’s plans will see customers automatically compensated for slow repairs, missed appointments and delayed installations. While today should be welcome news for those who are left frustrated by shoddy service from their broadband and landline provider, we need reassurance that all providers will play fair and sign up to this compensation scheme. The regulator believes consumers will benefit from up to £142 million per year in automatic compensation payments, but fundamentally it’s important that this compensation acts as an incentive for providers improve their service levels and deliver genuinely better customer experience. What do you make of today’s news? Is it a much needed boost for customer experience in the broadband market? Will it make lives easier for consumers to get the compensation they deserve and make providers smarten up on their customer service? Automatic Compensation? What a joke! 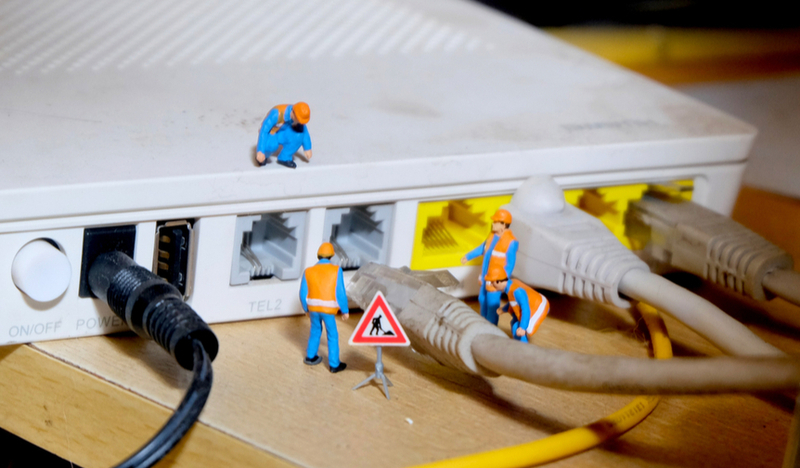 We began reporting issues with very slow or intermittent broadband connection to Virgin in September, despite a string of calls through Oct and Nov, system checks, and promises of refund of broadband fees, the issue was not fixed until the week before Christmas – we wound up having to have both a new hub/router and TV box. Virgin refund none existent, other than a ‘goodwill’ payment of £8.25!! This is all fine and dandy when genuine “bad service” has been a contributing factor, but what about when service is affected by, say floods, when water gets into a cable joint or cabinet and thousands of lines are affected. That’s not getting fixed in 2 working days. As a telephone and broadband engineer, I get 8 or 9 jobs a day with 35 minutes allowed per job. That’s usually do able, if the jobs are no more than 30 minutes travelling apart. Today, my first job is a 4 hour return journey, guess what, at least 2 jobs will not be getting done (I don’t get paid overtime). Get more engineers? There’s a cost to that, hit the ISP with compo claims? There’s a cost to that. Where will the extra money come from? You guessed it. You (and me). Be prepared for substantial price rises in the next few years after this is introduced. Oh, and if the fault turns out to be in your premises/your equipment prepare yourself for a large bill, these are not covered and will be chargeable. Just so you have the full story.